Can My Clinical Experience Allow Me to Become a Certified Family Nurse Practitioner or Do I Need a MBA? Becoming a Nurse Practitioner is a wonderful career path full of rewarding experiences within an ever-growing field of advancements. Being a Nurse Practitioner is similar to being a physician, where you may choose to specialize in a wide variety of specialties. Common duties include not only diagnosing illnesses, but treating them as well. 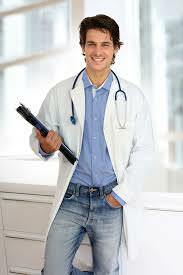 You will also prescribe medications, and of course educate patients on their illness. The path to becoming a nurse is straight-forward at first, but as you advance in your degree you’re able to pursue specifics in what you want for credentials. Nursing students may wonder if it is possible to use the clinical experience they’ve gained to become a certified Family Nurse Practitioner or would they need their MBA? easy steps that anyone can easily follow. Those on the path to becoming nurse practitioners can begin by earning an undergraduate degree in nursing. The ability to complete this difficult degree will give the individual an example of what it will be like to work as a registered nurse (RN) and then a nurse practitioner. Every state requires practicing nurses to pass the National Council Licensure Examination for Registered Nurses. Further licensing and registration requirements, which include background checks, may be required depending on the state. Registered nurses with a bachelor’s degree who are interested in becoming nurse practitioners can qualify by earning a master’s or doctoral degree in nursing. Many nurse practitioners specialize in a specific area of medicine such as pediatrics or family medicine during their graduate study. These programs typically take 2-3 years to complete and require students to take courses and seminars to completing a clinical residency. To be a nurse practitioner, a person must have advanced licensures that goes beyond the basic nursing license. Licensing is regulated by state, and requirements vary. All Nurse Practitioners must first be a licensed RNs with a master’s degree in one of the four advanced specialties. Many states require continuing education classes or maintenance of a national certification to renew a license. The successful completion of a graduate degree program and license requirements prepare graduates to sit for certification examinations according to their career. The American Academy of Nurse Practitioners (AANP) and the American Nurses Credentialing Center (ANCC) are two organizations that offer national certification commonly recognized by state nursing boards. In a whole, it’s not an easy process to go through in becoming a Nurse Practitioner. However, if you’re able to put the dedication and commitment that it takes to fulfill the requirements, then it’ll be easy to obtain and being a Nurse Practitioner will be easy.